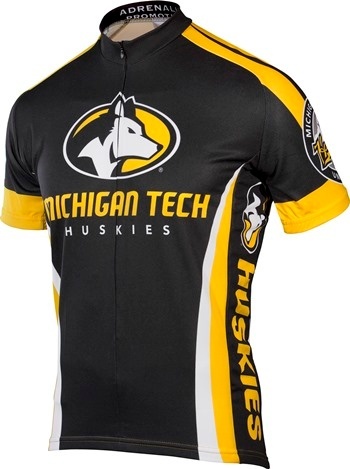 Michigan Tech Cycling Jersey |Free Shipping | Michigan Huskies Bike Gear. 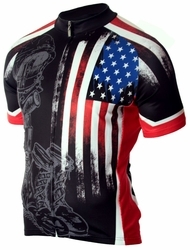 This Michigan Tech Cycling Jersey is meticulously constructed from 100% treated micro fiber polyester for quick-drying, moisture transfer ensuring total riding comfort. Three rear cargo pockets provide easy storage and neck zippers allow adjustable ventilation. Show your black, silver & gold colors and go Huskies! Available in S, M, L, XL, XXL sizes. 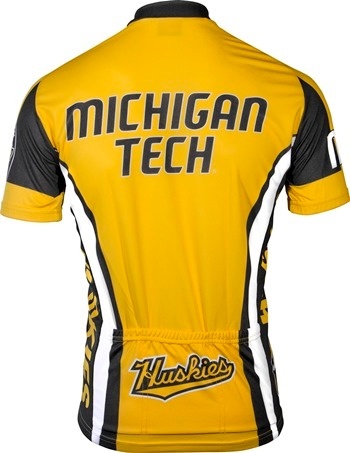 Michigan Tech Jersey is made by Adrenaline Promotions.